The Los Angeles Rams called off Friday's practice in Thousand Oaks, Calif., due to devastating wildfires in the region. 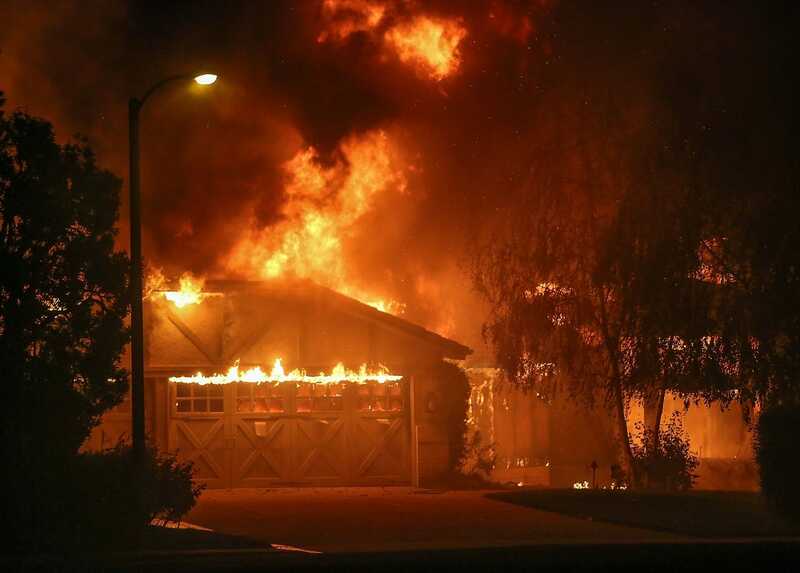 The wildfires have caused mass evacuations, property damage and led to road closures that would affect several people within the organization. "Our hearts are with our neighbors in Los Angeles and Ventura counties during these devastating fires," the team said in a statement. "We are carefully monitoring the situation and are committed to taking an active role in helping to rebuild and heal our community. Right now, we are working with our displaced Rams family members whose homes are being impacted by the fires. Together, as a united community, we will get through these terrible tragedies." Los Angeles County Fire officials announced early Friday that the 101 Freeway was closed and that one of the fires had torched some 8,000 acres and with zero containment. That fire began Thursday afternoon and had jumped the freeway just 12 minutes later. The Rams (8-1) are currently still slated to play host to the Seattle Seahawks (4-4) on Sunday at the Los Angeles Coliseum in a rematch of a Week 5 game in Seattle. The Rams held on to win that game thanks to a gutsy quarterback sneak by Jared Goff on fourth down late in the game.